Everyone knows about the Concorde, which shot across the Atlantic at over twice the speed of sound for decades. But it wasn’t the only supersonic airliner. For a little while there was one more, and most people have never heard of it. It was the Tupolev Tu-144, it was Soviet, and it was loud as hell. If you’re wondering why you’ve never heard of the Tu-144, or why you never saw it screaming over your house, it’s because it didn’t really make sense. No, the Concorde didn’t make sense either, but at least in a capitalist system you can convince those with oodles and oodles of money to part with a significant chunk of it – often, just to say they did it. But in a communist system? Well, no one really has oodles and oodles of money. They don’t really have oodles of anything. Least not reasons to fly to Kazakhstan very quickly. 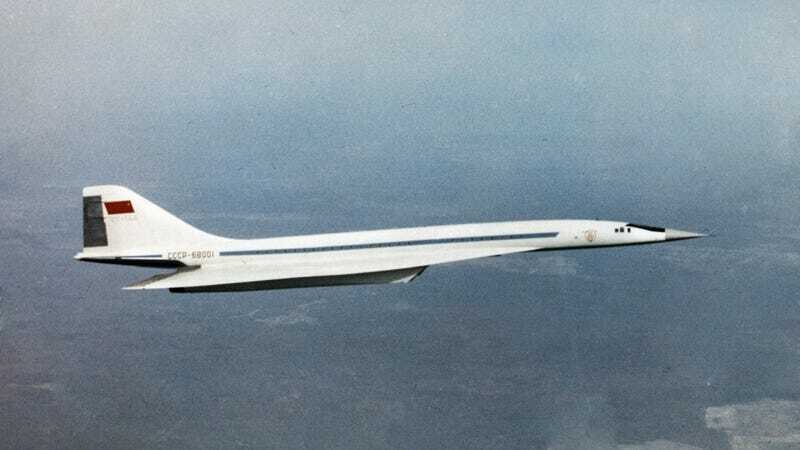 Which is odd, as even the builders of the Concorde conceded at the time that, from the outside, the Tu-144 was much quieter than the supersonic jet we all came to know and love. But that’s not enough. When the Soviet Union finally stopped flying the Tu-144 in 1984, the New York Times reported that an unnamed “Western airline official” called it “the biggest single failure in the whole history of aviation” in terms of investment and financial return. Though in communist societies I suppose people aren’t really as jazzed about investments and returns. But even then, it was just too expensive for the Soviet government to keep flying. One Tu-144 was pulled out of storage in the mid-1990s by NASA (yes, the American government NASA, is there any other kind?) and flown for about five years, in the hopes of gaining enough research data to start work on a second-generation supersonic airliner. We’re still waiting for that one.